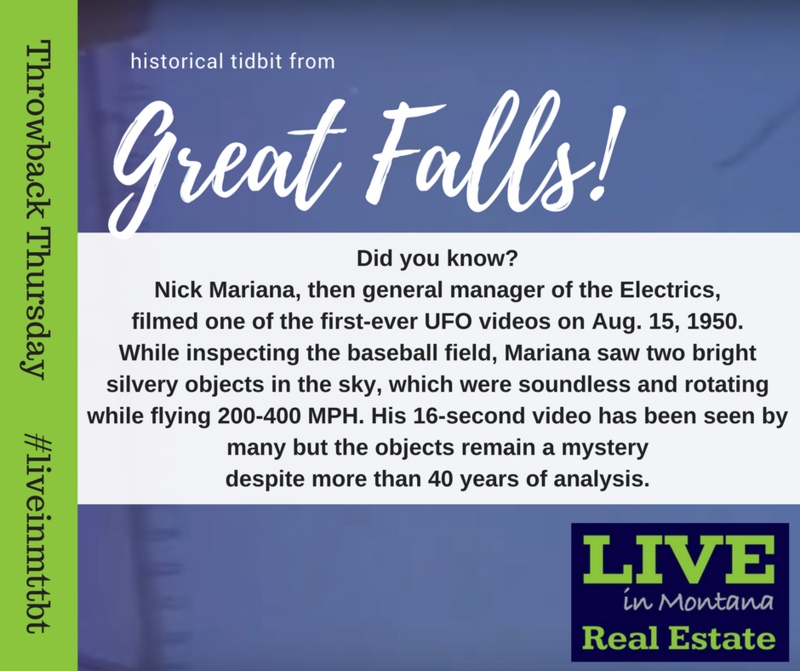 Nick Mariana, then general manager of the Great Falls Electrics, filmed one of the first-ever UFO videos on Aug. 15, 1950. While inspecting the baseball field, Mariana saw two bright silvery objects in the sky, which were soundless and rotating while flying 200-400 MPH. His 16-second video has been seen by many but the objects remain a mystery despite more than 40 years of analysis. Great Falls, MT has been the location of more than 100 sighting reports for UFOs. It is one of the most active locations in North America! More information about the timeline of analysis is available online. What do you think? Is this unidentified object an extraterrestrial sighting? Click here to search for homes in Great Falls, MT.